Melanie Allred is vivacious, to say the least. She’s got a wonderful twinkle in her eye, despite way too much experience with cancer and chemo and radiation. Her son, Riley, has battled leukemia throughout his young life, enduring two bone marrow transplants, the second back in January of 2007. She herself endured a double mastectomy following her diagnosis, opting for DIEP flap breast reconstruction surgery. All photos are of Dr. Cannon’s patients. Melanie saw her doctor the next day, and the results came back way too fast. 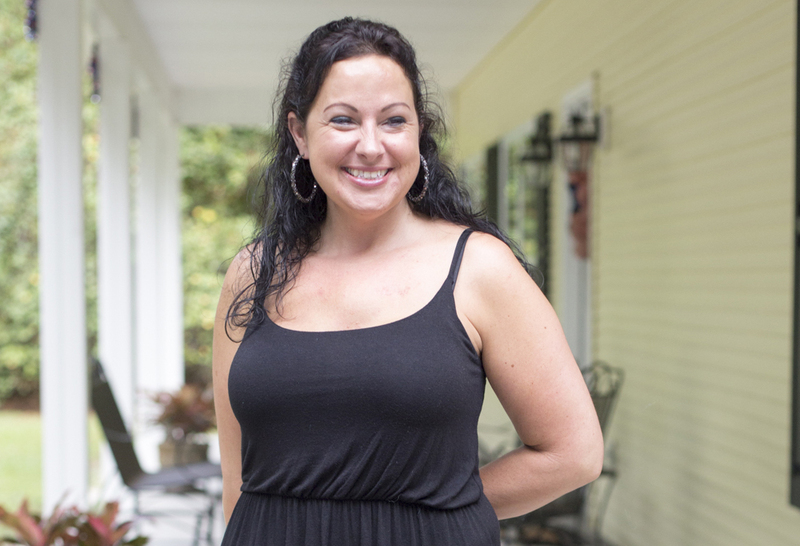 Following her diagnosis—even before surgery—Melanie had already chosen the plastic surgeon to perform her breast reconstruction surgery. She chose Dr. Cliff Cannon, who was present during her double mastectomy. Melanie found out she was sick on May 31 of 2012. She had double mastectomy two weeks later. Melanie is a waitress here in Savannah, and she’s not shy about showing a little cleavage. She was certain that she wanted breast reconstruction surgery, and the DIEP flap is today regarded as the “gold standard” in reconstructive care for women following a mastectomy. During the multi-stage procedure, a skilled surgeon creates a “living” breast, borrowing skin and fat from the patient’s own abdomen. The result is a new breast that both looks and feels real. In Melanie’s case, she opted for implants as well. Melanie endured a year and a half of chemotherapy. In October of 2013, as she puts it, Dr. Cannon performed “the tummy tuck” and then, following her course of radiation treatment, she got her implants. Following DIEP Flap breast reconstruction surgery, Melanie was in the ICU for six days. “He also works with a doctor out of Louisiana, and Dr. St. Hilaire is also very nice, very chill. Obviously, it’s been a long road for Melanie and her family, but everyone is now cancer-free. Her son was an inspiration, of course, and thanks to the experience of caring for him, she knew how to educate and advocate for herself every step of the way.